Lewis Hamilton proved his mastery of slippery conditions by claiming his third win of the season at the Belgian Grand Prix. From second on the grid, Hamilton took advantage of Mark Webber’s poor start to beat the Australian into the first corner. From there he was unstoppable and despite the rain led the rest of the race. Hamilton now leads the championship from Webber by just 3 points. Overall I think we can be very satisfied with this weekend, especially because we brought our latest updates, including the f-duct, and managed to get it working properly straight away. Once again, Force India were strong at Spa with Adrian Sutil finishing fifth and Tonio Liuzzi fighting against Fernando Alonso and Michael Schumacher. Force India is now 17 points clear of Williams in the Constructors’ Championship. While it is still a five-way battle for the Championship, Hamilton and Webber were able to pull away slightly from their rivals thanks to Vettel finishing out of the points and Alonso and Button not finishing at all. All I felt was a really big bang in the sidepod and I lost drive immediately, I don’t know what he was playing at really. From the point of view of the championship, it’s a massive blow. There is no doubt that Vettel is seriously fast, but he seems to make too many hot-headed mistakes. 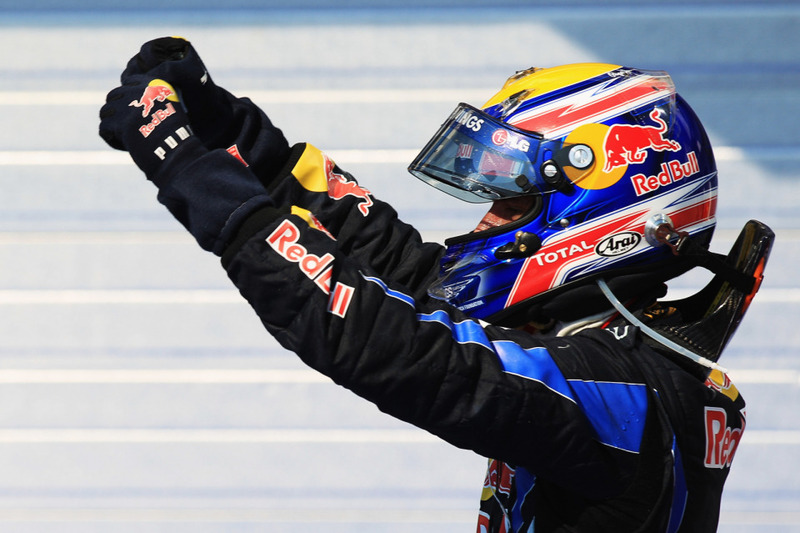 Mark Webber lifted himself to the top of the Drivers’ Championship with a remarkable drive in the Hungarian Grand Prix on Sunday. Although the circuit is well liked by the drivers, the narrow, twisty Hungaroring has a reputation for producing somewhat processional races but Sunday’s race was anything but boring. 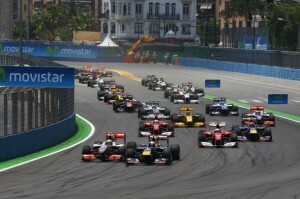 Thanks to a safety car period and a drive-through penalty for Sebastian Vettel, Webber was able to leapfrog both his team mate and Fernando Alonso and seal a much needed fourth victory. Sebastian was clearly upset at missing out on what he thought would be a certain victory and for the second race in a row there were two team mates on the podium; one looking less than happy. It’s nice to have more points than anybody else, but we’re not getting ahead of ourselves as there are some big events coming up. In the closing stages of the race a furious battle for 10th was taking place between old team mates Michael Schumacher and Rubens Barrichello. Rubens had complained over the radio that Schumacher was closing the door on his passing attempts very late in the corners and on lap 68 Schumacher very nearly forced Barrichello into the wall. Barrichello managed to scrape through with centimetres to spare but it was clearly an extremely dangerous move by Schumacher. Throwing a black flag would have shown a better example to our young drivers but by the time we got the video evidence we ran out of time and we had to do it retrospectively. Immediately after the race yesterday I was still in the heat of it all, but after I looked again at the situation with Rubens I have to say that the stewards were correct with their judgement. What it does show is that Schumacher may have lost some of his old speed but he has lost none of his old ruthlessness. At the 2002 Austrian Grand Prix, at the height of Michael Schumacher’s dominance of the sport, Ferrari ordered Rubens Barrichello to give up his race lead and let Schumacher past to take the victory. Barrichello duly slowed at the final corner of the last lap and let his team mate pass him just before the finish line. The crowd didn’t like it. There was jeering during the podium ceremony which was made even more awkward when Schumacher encouraged Barrichello to take the top step and handed him the trophy for first. Both Barrichello and Schumacher were fined one million dollars for their behaviour and a new rule was introduced banning so-called team orders. Such is the clear intention of this rule that many were surprised at Ferrari’s blatent imposition of team orders at Hockenheim on Sunday. Good lad. Just stick with him now. Sorry. The stewards fined Ferrari $100,000 for the move although the race result still stands. The stewards have also referred the issue to the World Motor Sport Council which may take further action against Ferrari. This is the second time Alonso has picked up a victory due to the blatant altering of the race by a team mate. While not as dangerous as Nelson Piquet Jr’s deliberate crash in Singapore, Massa’s move was equally unsporting and like Singapore, Alonso doesn’t seem to treat his win as anything less than fully deserved. There has been a lot of debate about whether team orders should or shouldn’t be allowed but the fact remains that there is a specific rule forbidding them and Ferrari willfully broke that rule. As to the question of whether team orders should be allowed, I think it is clear that the fans don’t want them – no matter how much the teams may. There is an inherent conflict of interest in a Formula One team. Both drivers are hired by the team to drive for the team but when it comes down to it, each driver is driving for themselves. There can be only one champion and every driver wants it to be him. And while Ferrari have legions of supporters devoted to the Scuderia I don’t think the fans want to see race results manipulated even if it is for the good of the team. What made Sunday’s result even worse was that it was the first anniversary of Massa’s terrible accident at Hungary. A win for the Brazillian would have been a fitting and well-liked result. 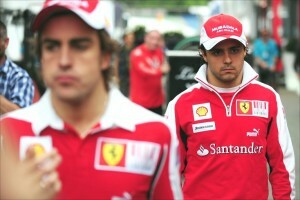 Instead Ferrari showed clear Alsonso favouritism and did nothing for the Spaniard’s popularity. All the talk of Alonso being faster than Massa is specious. A similar point was made about Webber and Kovalainen at Valencia but the reality is that Formula One is not just about who has the fastest car. It is also about who is the best driver and it can be just as exciting to see a skilled driver holding off a faster car as it is to see overtaking. If it was only about speed then why bother racing at all? Why not just have each car set a lap time on its own and then rank them accordingly? I think team orders are wrong but it is not the use of them in this case that I find as distasteful as the obvious lying by Ferrari after the event. 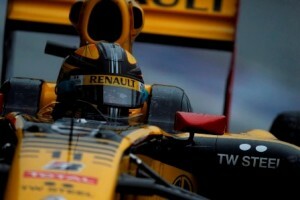 2009 saw the biggest change in regulations in Formula One for many years. This was largely in response to the perceived need to “improve the specatacle” of Formula One. There was a general feeling that overtaking had become so hard that it was making the sport boring. There is a possibility that much of this impression of F1 being boring stems from the “good old days” point of view; that things are never as good as they used to be. I am not so sure that the amount of overtaking in Formula One has really declined that much in the last 20 years, however, I think the regulation changes have, in general, been a success. 2009 was a fantastic season and 2010 is shaping up to be even better. A number of changes for 2011 were announced in Geneva last week, one of which was clearly designed to increase overtaking. This moveable rear wing regulation has caused quite a bit of controversy with some drivers saying it will be dangerous and others saying it will kill defensive driving and reduce the skill required to pass. After the Canadian Grand Prix there have also been calls for Pirelli, the tyre supplier for 2011, to provide tyres of a more extreme range of durability. I am starting to wonder if enough is enough. Apart from Bahrain, this season has seen some fantastic racing at every Grand Prix, even traditionally boring circuits like Barcelona and Valencia. I am not convinced the rules need any further messing with. I think we have a great show, we should be careful not to spoil it, but we should always be thinking about how we create some entertainment. Both Lewis and Jenson have showed this year that you can overtake in F1 cars. We like talking about improving the show. The show has been fantastic this year. We must not keep this obsession with improving the show. Is McLaren better in the wet than Toyota?